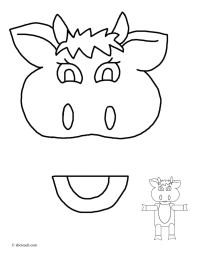 Picture outlines for making a bag puppet, provided by ABCTeach. See also Bag Puppet Instruction. 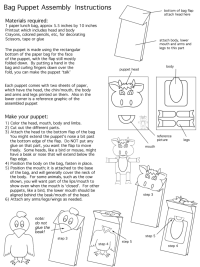 Instruction on how to make a bag puppet, provided by ABCTeach. See also puppet picture outlines. 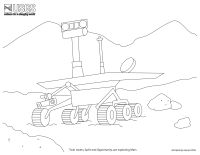 Coloring page of the twin rovers, Spirit and Opportunity, exploring Mars, from the USGS. 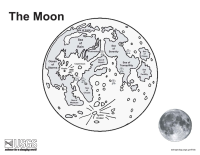 Learn about the different areas on the Earth's moon with this coloring page, from the USGS.